This weekend, my daughter and I attended the baby shower for the sweet woman who was her small group leader from middle school through most of high school. For years, my daughter and her small group friends wished mightily that her small group leader would have a baby so that the baby would have a rotation of some 12 – 14 girls as babysitters. Unfortunately, her leader moved a few hours away, and then became pregnant. The girls’ hopes were dashed, but fortunately, one of the moms decided to throw her a shower “back home.” It was great for all the girls to ooh and aah over her swollen belly, but my favorite part was when we all prayed over the baby and the soon-to-be mom. This almost mom mentored and shepherded these young girls, pouring into them her time, love, wisdom and heart, and it was so humbling to be able to pray that over her daughter-to-be! It was such a moving and blessed time with her and all the girls and their moms. 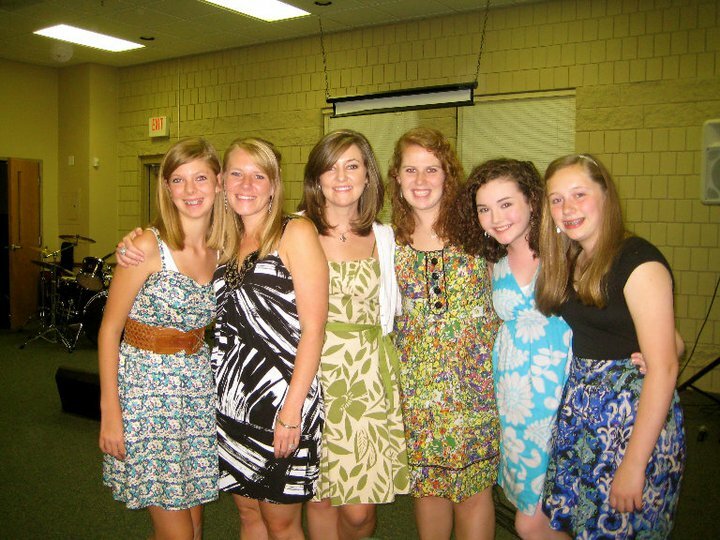 6 years ago – middle schoolers and their great small group leaders! Girls grown up & their leaders having babies! It was a cold weekend, so when we weren’t enjoying showering gifts and attention on the soon-to-be mom, we hunkered down on the couch with blankets, a cat on our laps, or dogs at our feet, catching up on reading and DVR’d shows. It certainly felt more like winter than fall! Hopefully you had one of those kinds of weekends too! If you want a green house but don’t have space or $, why not build a cold frame instead? We used to know this… God’s not tame, so why do we want Him to stop being wild? I love fruit. I love cake. But not fruitcake. This recipe might change that. The Amelia Earhart article was fascinating and sad. It’s amazing they found those artefacts after all these years. Yes, it is sad, but at the same time, it’s nice to know that even after all these years, she wasn’t forgotten.